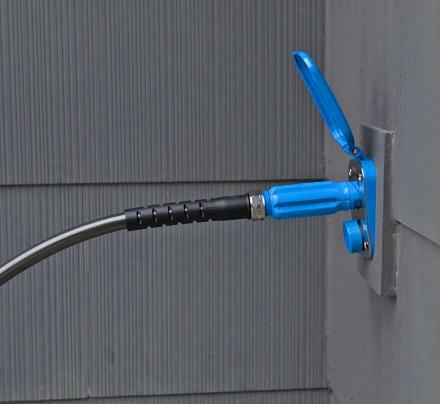 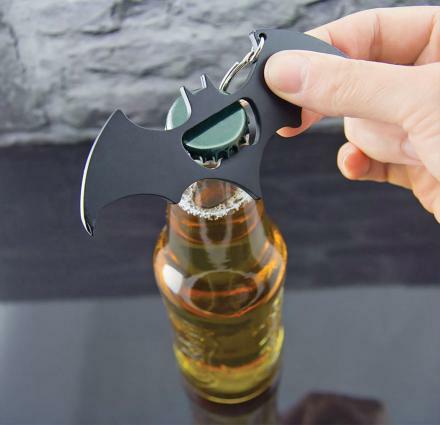 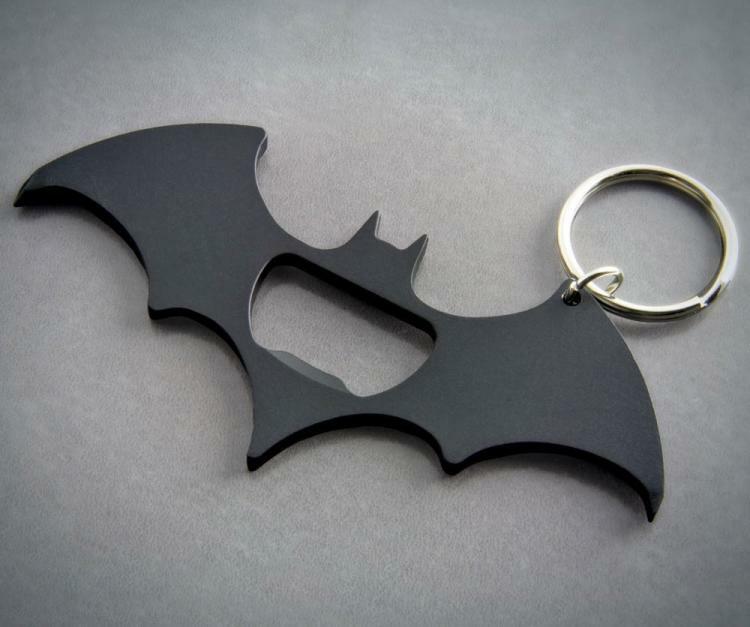 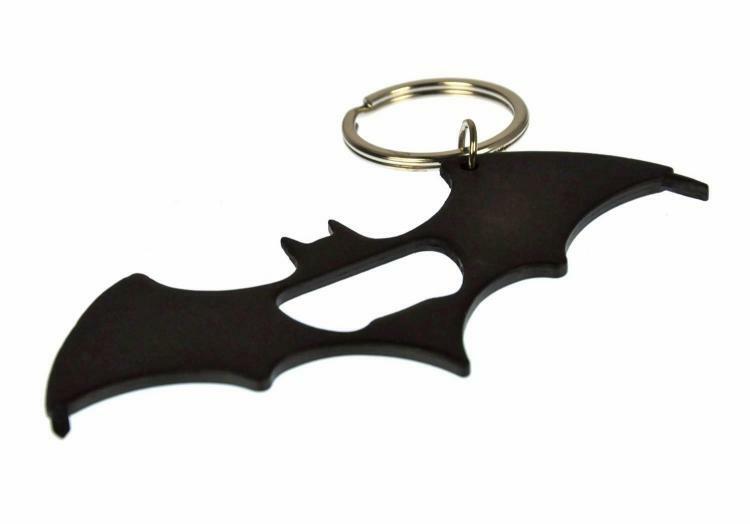 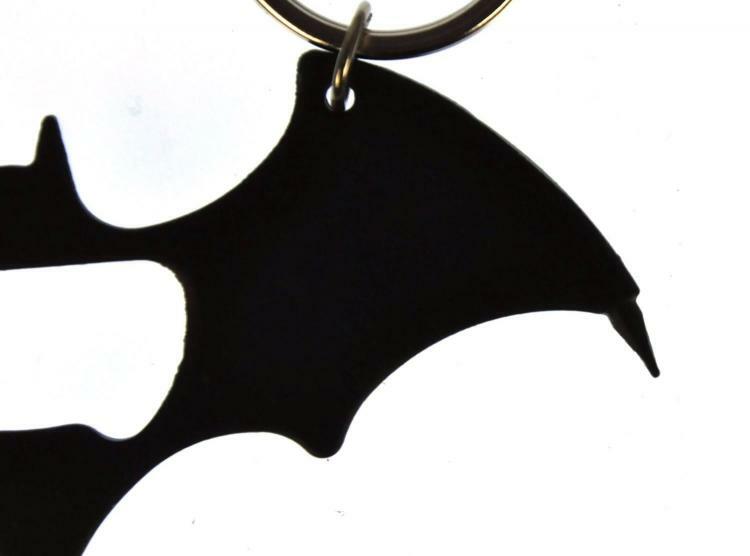 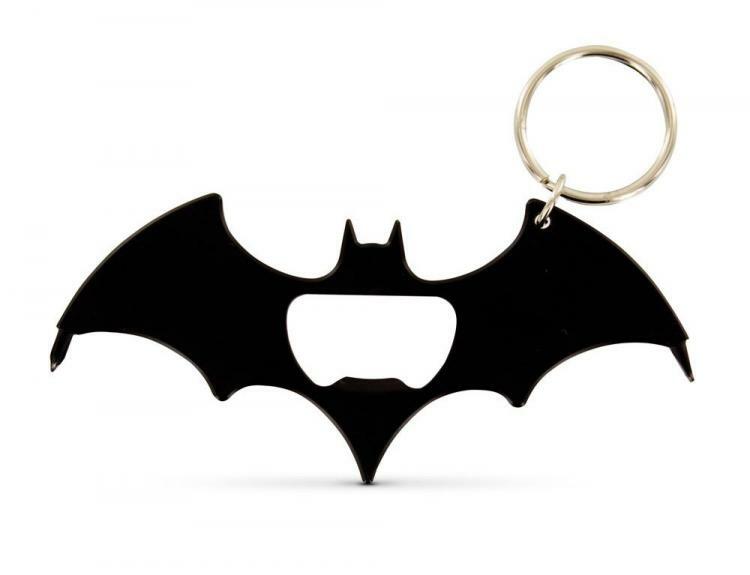 This Batman logo is a multi-tool that you can attach to your Batman utility belt, or I guess just your key-chain to help you survive just like Batman would by opening beer bottles and unscrewing screws using a Phillips screwdriver. 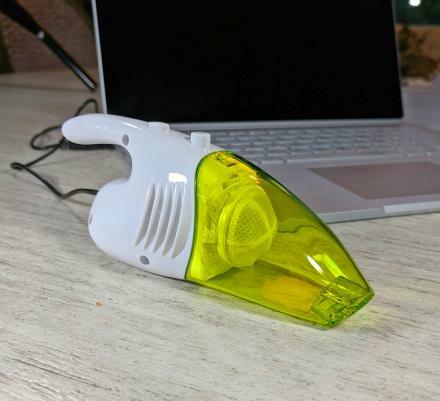 Granted unlike most multi-tools, this Batman one doesn't do much as it has a bottle opener, a Phillips screwdriver, and a flat head screwdriver on it, but what those other multi-tools don't offer is a beacon of virginity that you can hold up and show the world your status. 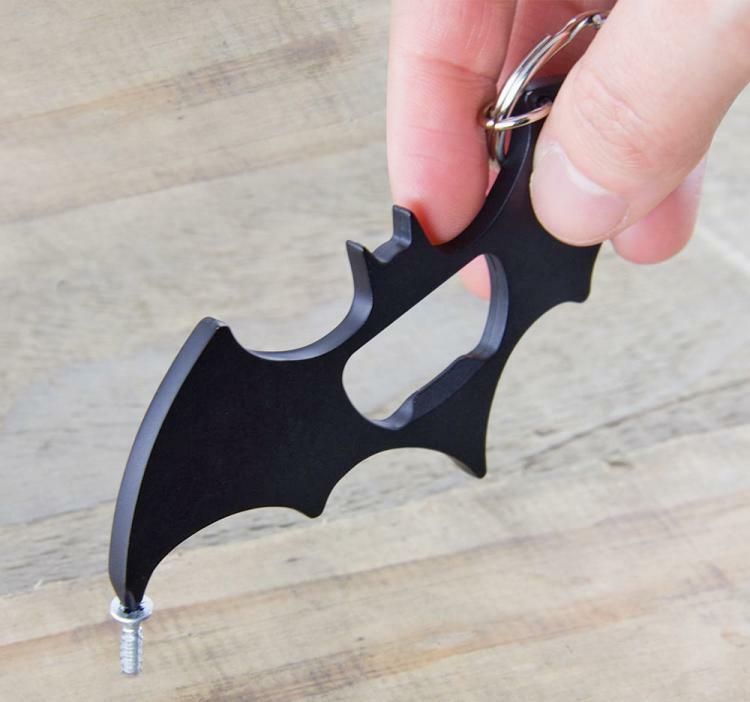 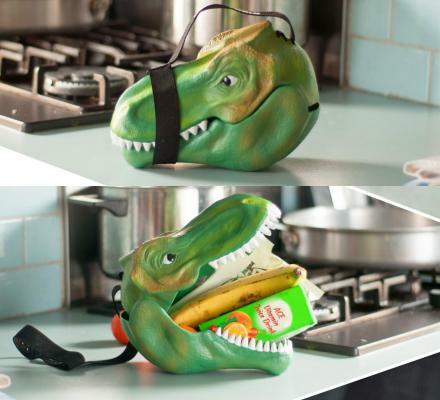 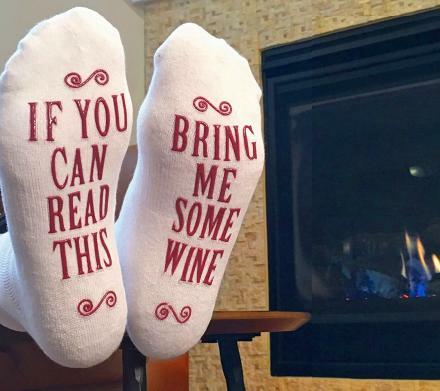 Plus if anyone attempts to rob you on the streets you could try throwing it at them, and after they get a good laugh, they'll probably just continue to rob you, and maybe give you a good kick to the stomach for good measures. 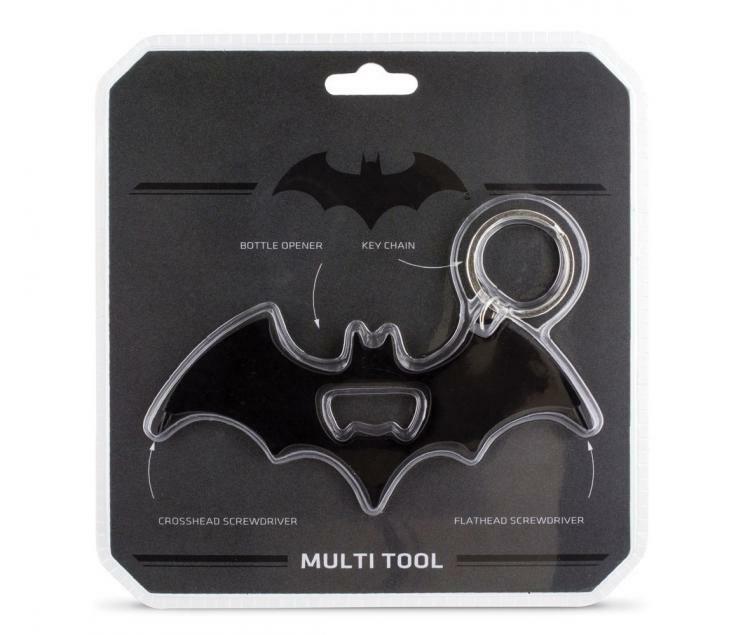 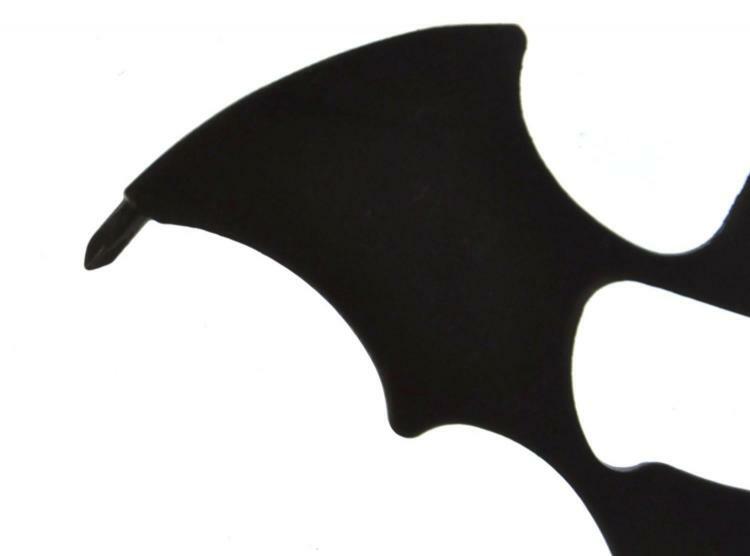 The Batman multi-tool is made from aluminum, has a high quality black anodized finish to it, comes with a key-chain ring, is officially licensed by DC Comics, and measures 4.3 inches wide x 2 inches tall x 0.2 inches thick.